Comedy clubs, colleges, and cruise ships know the drill when it comes to working with comedians. But those producing corporate events, professional conferences and charity fundraisers might be a little less certain about working with a professional comic—especially for the first time. The main goal of stand-up comedy is mostly to generate laughter. Some comedy might inform folks or even change minds, but most of the time, comedy serves as a little vacation from the rigors of an information-packed business event. 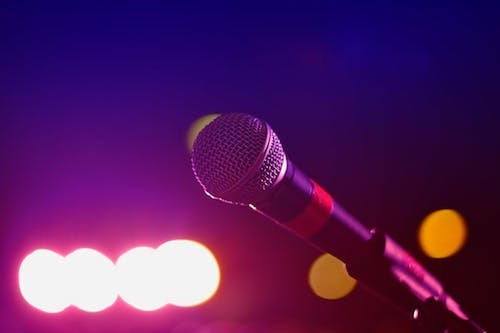 After 25 years of performing at events for corporate and non-profit organizations, I have a mental list of “must haves” and “nice to haves.” When the event organizer and the venue is prepared for comedy, all I have to do is bring the jokes and energy. If you plan events—of any size—these are the three absolute essential things I need from you. Sure, some comedians can scream for 30 minutes or more, but so much is lost. Yelling a set removes the nuances in the material and makes crowd work impossible. When the sound level is too low or the sound is not crisp and clear, a portion of the audience simply won’t hear a joke’s set-up and punchline. Or they will hear it wrong! Once an audience tunes out, it’s tough to get them back. The sound system must be the right size and configuration for the space. Major hotel ballrooms and commercial auditoriums typically have the hardware and staff to get the sound right. But if your event is in a tent, on a beach, or other creative venue, do a sound check the day before so you can fix feedback, static and other auditory gremlins. Illumination is the best way to let the audience know the program is beginning. If the entire room was lit for a meal, dim the dining area and light the stage. All eyes up here, people! Whether program is only comedy or other presentations followed by comedy, the stage must be the focal point. And when you do the sound check, do a light check as well. Still, mistakes can happen. Early in my career, I opened for Ray Charles. My appearance on stage beat the light crew to their spotlight perch. I did the first five minutes of material in complete darkness. When one joke generated applause, a spotlight hit me and the audience finally saw me. I told said “If I had known that applause would get me some light I would’ve opened with that joke!” More applause and the second spotlight came on—to great laughter. The date, including the day of the week and the year. Name, cell number and email address of the contact person before the event. Desired arrival time for me. Name and cell number of the person to check in with at the event (if different than above). Start time for comedy portion of the program. Amount of time allotted for comedy. Any wiggle room? Enough of the right advance information can make a good gig great. And remember: for some corporate clients, I’ve served as the MC for portions of the conference agenda, and helped “punch up” speeches and remarks delivered by executives.